Jaydeep Steels is known to be a primary Inconel Bar & Rods Supplier to the numerous national and international customers. These are made up of high-grade Inconel alloy that is oxidation and corrosion resistant materials. Upon heating, Inconel forms a layer of the passivating oxide layer to stop the surface from any further attack. Inconel Round Rods are made up of Available in Grades like 600, 601, 625, 718 etc. We make use of the latest technology and top-notch infrastructure to make sure that all our Inconel Bars and Rods are of the finest quality. 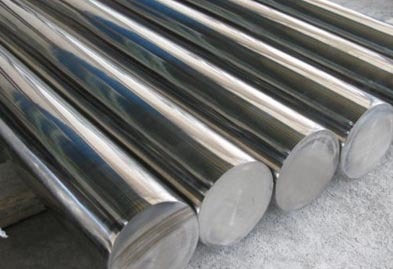 To cater the wide variety of needs of our customers we manufacture bars and rods that are available in Shapes like Inconel Round Bars, Square, Rectangular, Hexagonal, etc., and in various forms like Threaded, Cold Drawn, Hot Rolled, Cold Rolled, Annealed etc. These are vastly used in environmental conditions are extreme, like high pressure and heat. Inconel Forged Bars & Rods manufactured by us are designed to resist very high levels of heat and pressure and show successful resistance to corrosive attacks upon exposing them to salt water, fresh water, air, alkaline chemicals and neutral salts. Our Inconel Bright Bars & Rods have a smooth and bright surface, along with accurate tolerances on dimensions. Inconel Threaded Bars & Rods manufactured at Jaydeep Steels are used as a material of choice in various fields like chemical processing, aerospace, oil & gas, electronics, and marine. 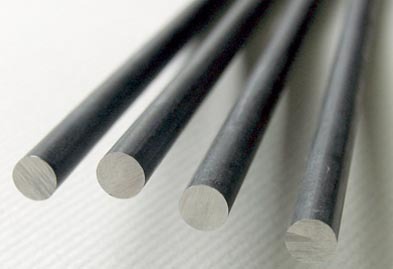 Our Inconel Black Bars & Rods have superior properties like close tolerances, excellent straightness and roundness, smooth surface, and decarburization. Call us now for a free quote! Range 5 mm To 500 mm Dia in 100 mm TO 6000 mm Length available with NACE MR 01-75. Jaydeep Steels stocks a wide range of materials and grades. Below are a list of all standard inconel bars and rods materials and grades we stock. Our experienced team of metal experts will get you the metal you need when you need it. Call us today for your Inconel Bars & Rods Needs!